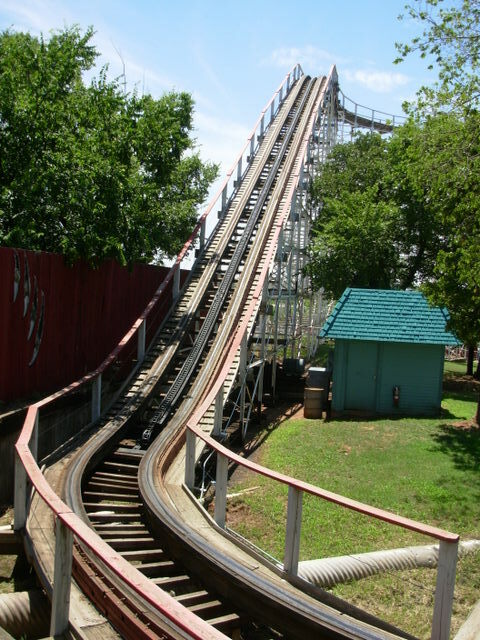 Since 1958, Frontier City has attracted visitors to its western-themed park, which is located slightly north of Oklahoma City. 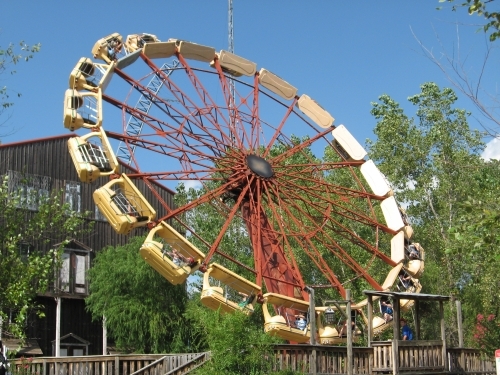 It is perhaps more famous for being the first park operated and owned by Premier Parks. 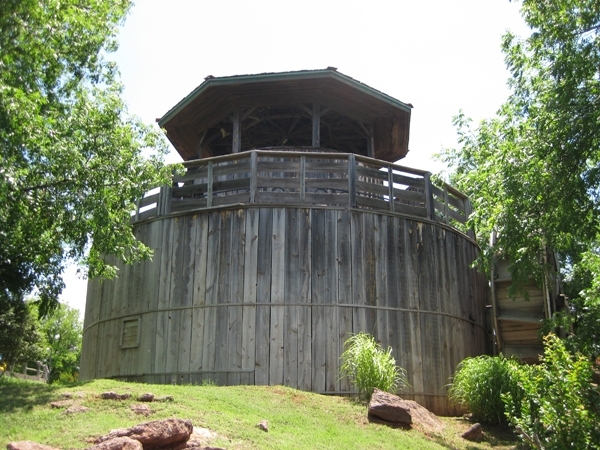 It is now also the only surviving park in Oklahoma. 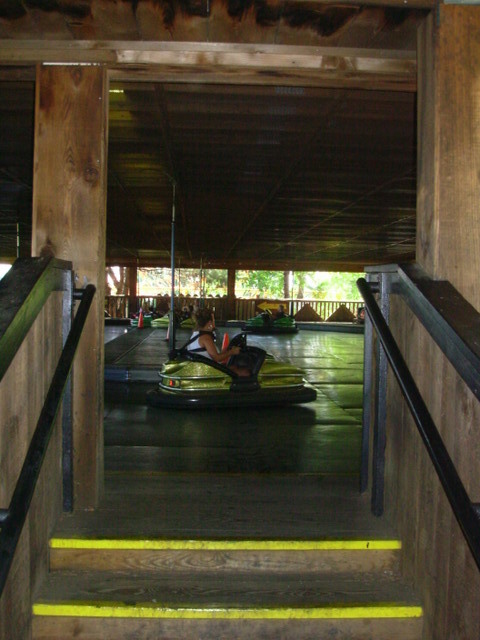 While the park is on the smaller side, there are quite a few attractions to experience during your visit. 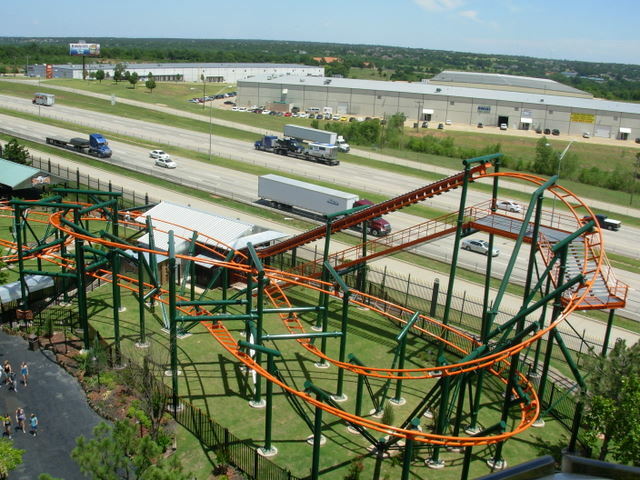 There are five roller coasters: Silver Bullet (Schwarzkopf), Diamondback (Arrow Shuttle), The Wildcat (Wooden Coaster), Steel Lasso (Vekoma Junior Suspended), and The Wild Kitty (Children's Coaster). 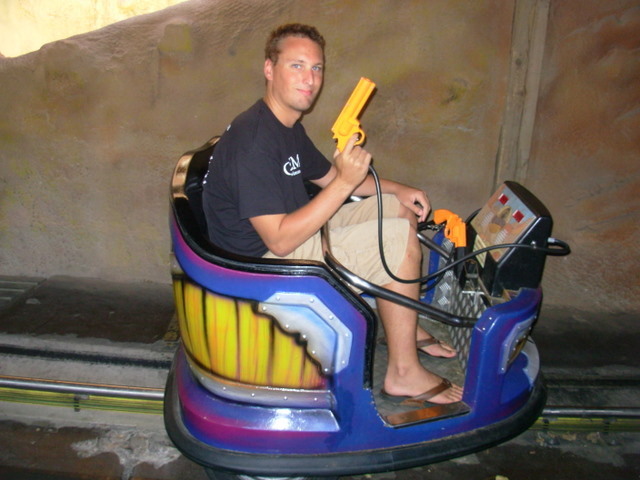 There is also a Sally family-interactive shooting dark ride known as Quick Draw. 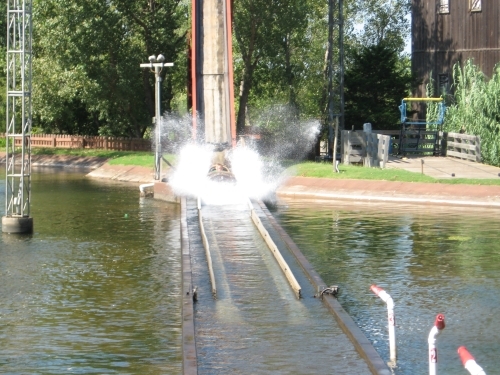 Water rides include a very early Arrow log flume as well as a rapids ride. 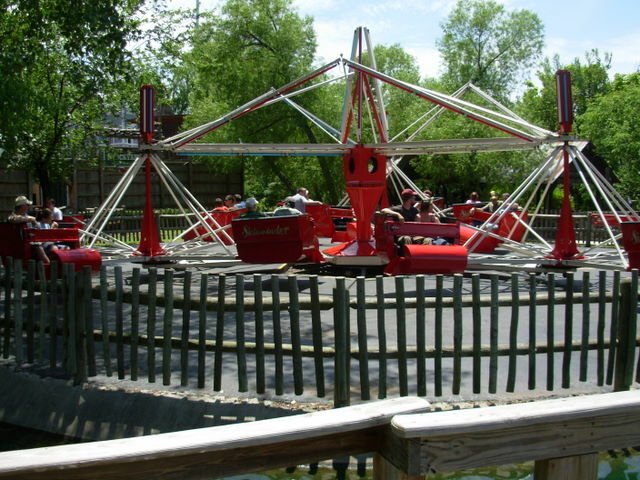 Typical flat rides as well as children's rides populate the park, which includes a 225 foot tall S&S Power Sky Sling (Eruption), which is included with park admission. 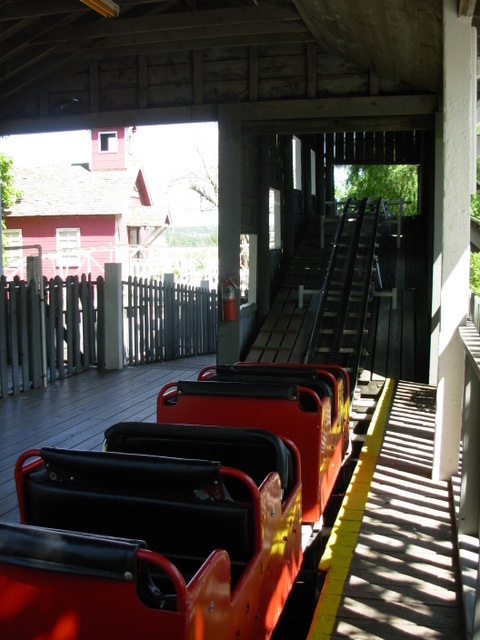 I was at Frontier City on Memorial Day and it was decent. 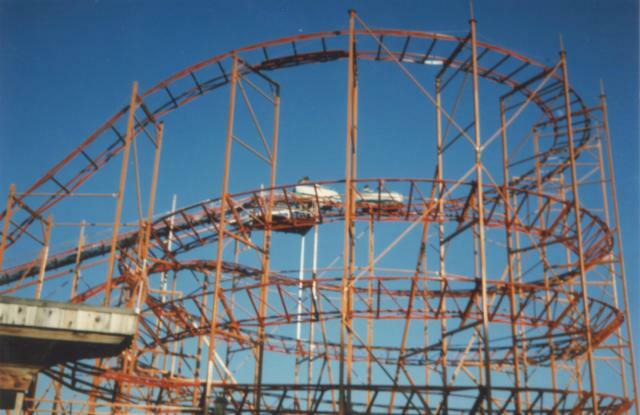 Silver bullet and wildcat are the stars here. Quick draw is also a must. Diamond back (not KI) is a headbanger. Steel lasso was closed so I don't have an opinion of it yet. Lines were less than 5 minutes except for the log flume. The food was a tad overpriced. Operations were decent. This park has greatly improved over the past few years! I absolutely love how they are doing their absolute best to maintain their classic ride while still getting high quality new rides and still having great theming. 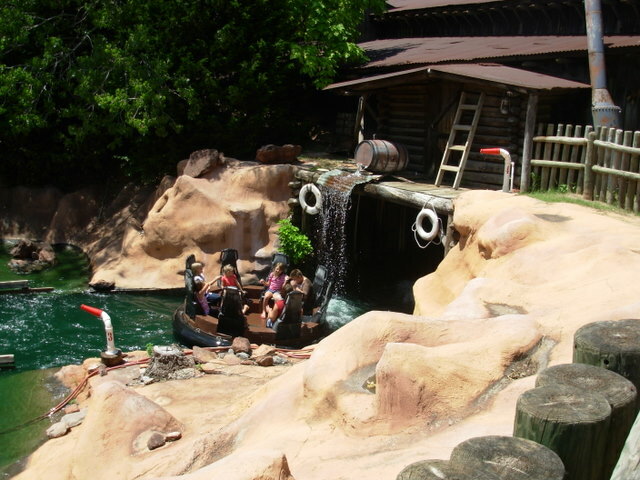 Onto that, the ride has a great appearance. Seeing the park from the highway, it looks like your average roadside amusement park, but once your inside it is like stepping back in time! The atmosphere at this park is up there with Silver Dollar City, and Dollywood! 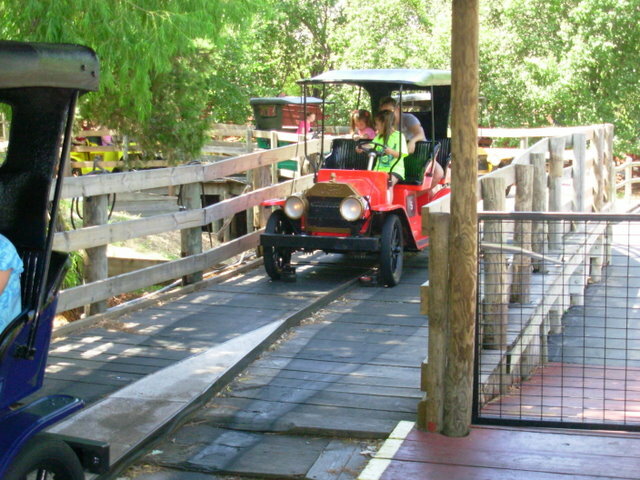 The employees at the park, are very friendly and stay related to the park's western theme. The operations are something impressive as well. 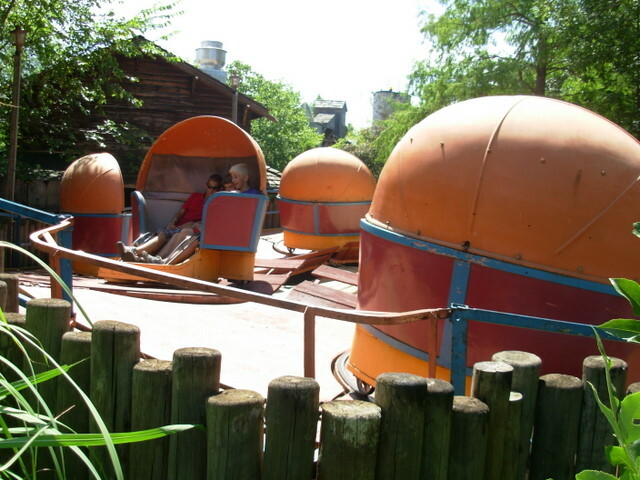 Although all the rides are only one train only, the lines move at the same pace as a two train would. They are great! 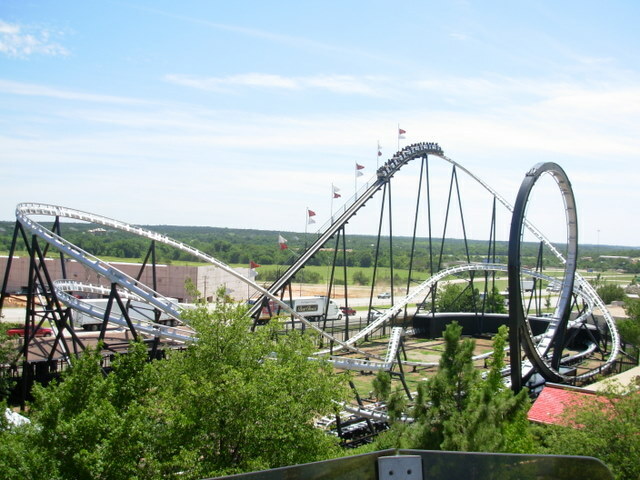 I've been to all the amusement parks in Missouri, including Silver Dollar City, I go there all the time, I've also been to Magic Springs in Arkansas. 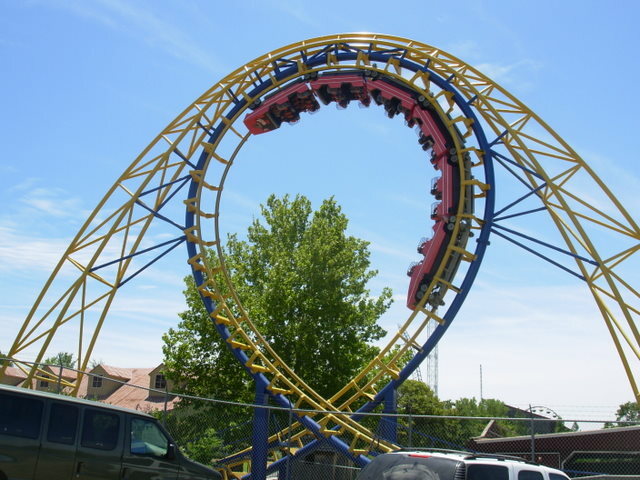 But I haven't been to a park as good as Frontier City. 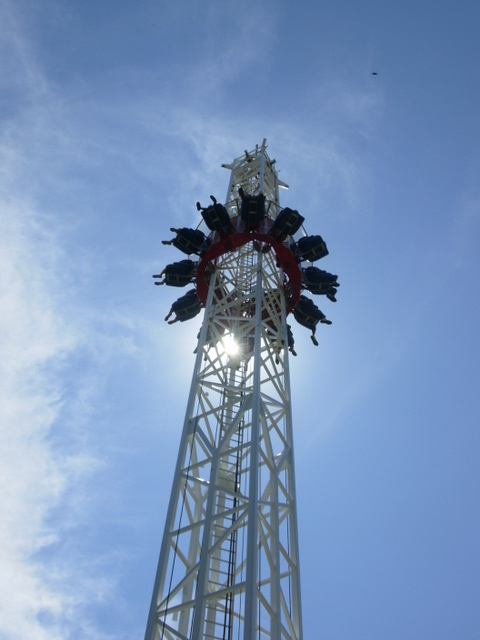 The staff was nice and outgoing, the food was fine, ALL the rides were awesome and running, it was clean and beautiful, and it was very efficient. This being my local park I see changes year after year. The past 3 years they keep on improving. The staff has been amazing this year very professional and friendly. Just about everyone I see looks like they are enjoying their job. 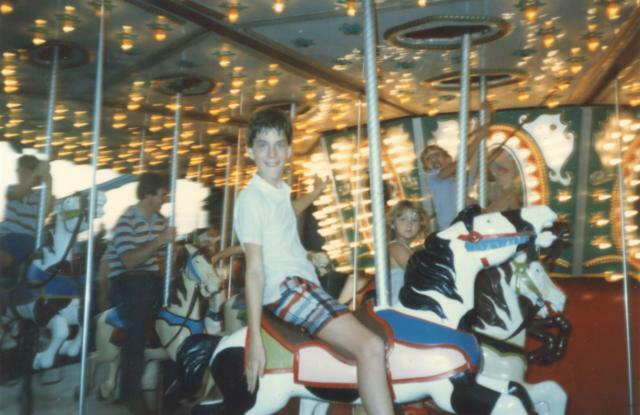 I never have been to a theme park and have a employee walk up to me shake my hand and ask me how I was enjoying the park. Another visit a employee asked my friend for a hug it threw myself and her for a loop. The food is what you would expect from a theme park. 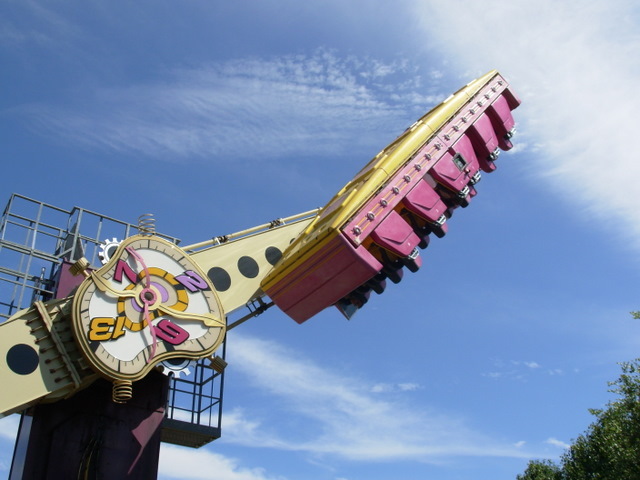 They have updated most of the rides and refurbished many of the older flat rides. The park is really clean even the restrooms. 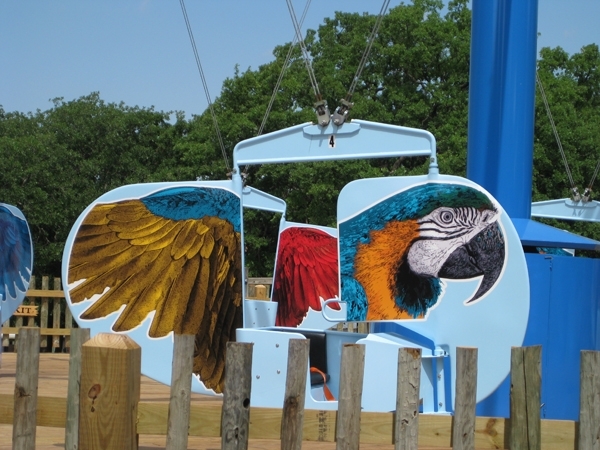 They made tremendous improvements throughout the whole park. I do think they need that one ride to put them on the map. After a year under different management, the park continues to clean up but still has not had a new attraction in the last 4 years. 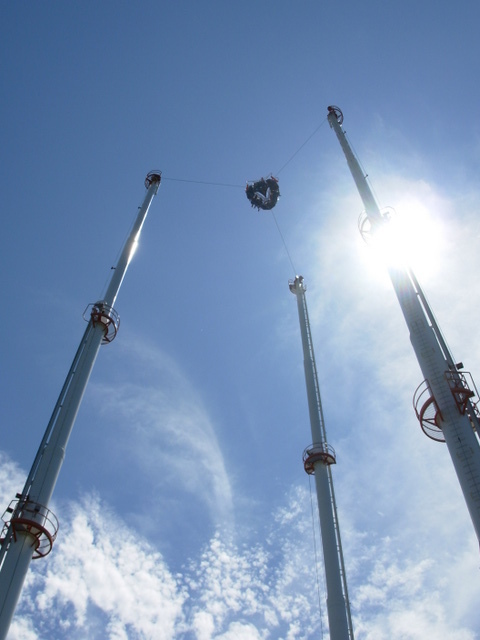 The drop tower is also plaqued with continued downtime and the staff needs a lesson in customer service. Outside of the that, the real reason to stop by the park is to visit Anton. 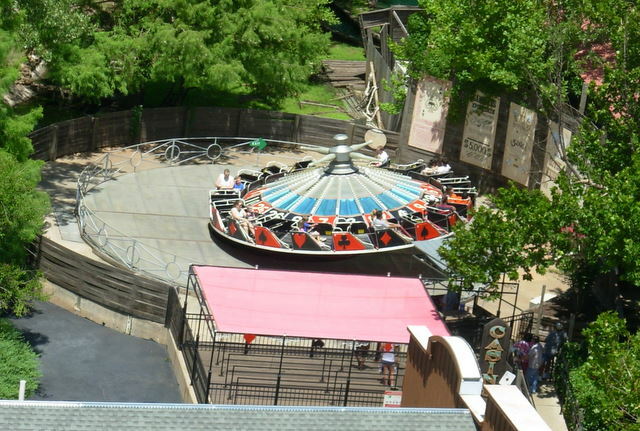 Frontier City is a nice, small park with a good bit of charm. The park has a rare Arrow shuttle coaster that is a lot of fun, and also a decent wooden coaster and Schwarzkopf looping coaster. 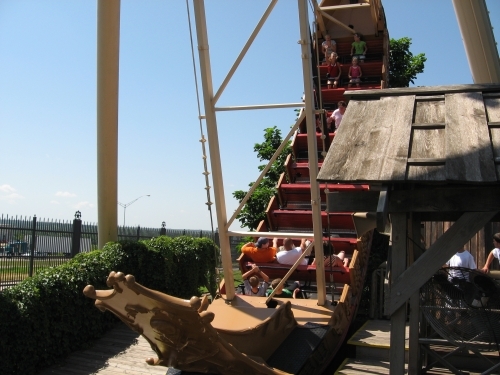 There are also several smaller attractions which make this park a fun place to visit, including a shooting dark ride and an old log flume. Certainly not a must-visit park by any means, but it's definitely worth a stop if you're in the area. This park was awesome back in the day, now days it seems to have fallen apart. If you can go and all the attractions are open consider yourself lucky. Last time I was there 3 of the major attractions were closed. However the S&S Skysling makes the trip worth it, even though the seats no longer tilt. If you are in the area pay a visit, but not worth going out of your way for. 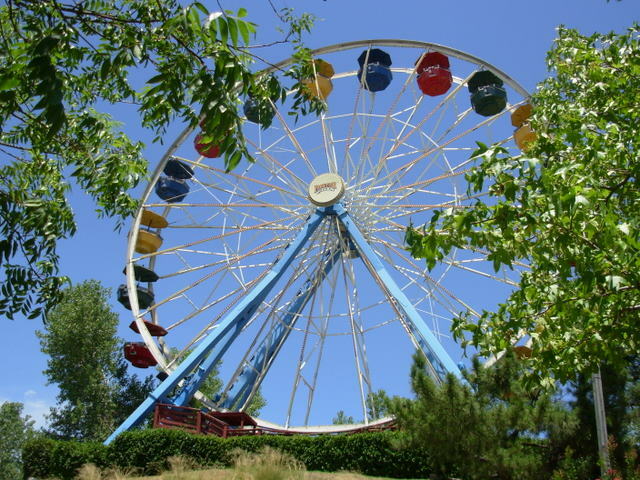 Formerly the HQ of Six Flags, Frontier City has been a staple in the OKC area with its signature ferris wheel and Schwarzkopf coaster that can be scene sitting proudly off of I-35. The park had fallen into a slump over the years, but with new owners a major cleaning up has occurred and the park looks better than it has in years. 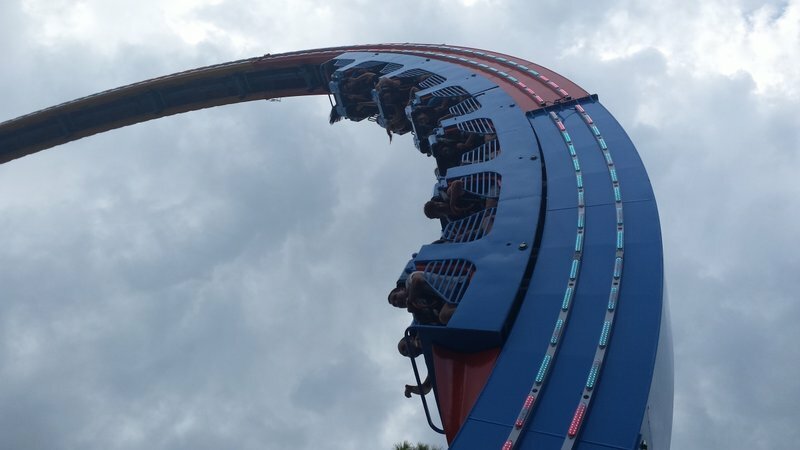 The parks newest ride, Steel Lasso is a short family Vekoma that is surprisingly smooth. Hopefully good things are in the future for this family theme park.